If you’re looking to get into tennis, it’s an awesome sport to play. There’s no need to wait a single day more. Just start now. 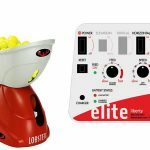 Or perhaps you already play but want to take tennis more seriously. If that’s the case, what are you waiting for? There are plenty of opportunities to play and practice no matter where you live. It’s not only about the competition. Tennis is fun, great for socializing, and fantastic exercise as well. To be completely honest with you, my life totally changed once I started playing tennis regularly. It’s truly a fantastic sport and hobby – and it’s quite addictive too. It’s also one of the few sports you can play your entire life (and even get better with age). Even Mike Tyson declared tennis to be the ultimate sport. There are so many marvelous things about tennis, I could write a book about them. However, I decided a blog post is good enough. So here it is. Tennis has changed my life for the better in so many ways through the years. I believe it can do the same for you. 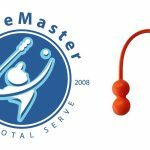 Here are the benefits I’ve experienced from tennis in my 25 years of play. I want to touch on each benefit, so you know exactly how tennis changed me. Perhaps my story will inspire you to start playing or simply play more. If you’re looking to improve your health, widen your social circle or just feel better about life, look no further than a tennis court! Before I started playing tennis, I’d hit the gym occasionally and play basketball here and there. I wasn’t totally out of shape but I also wasn’t in great shape. I had a few extra pounds of body fat and my cardio wasn’t the best. 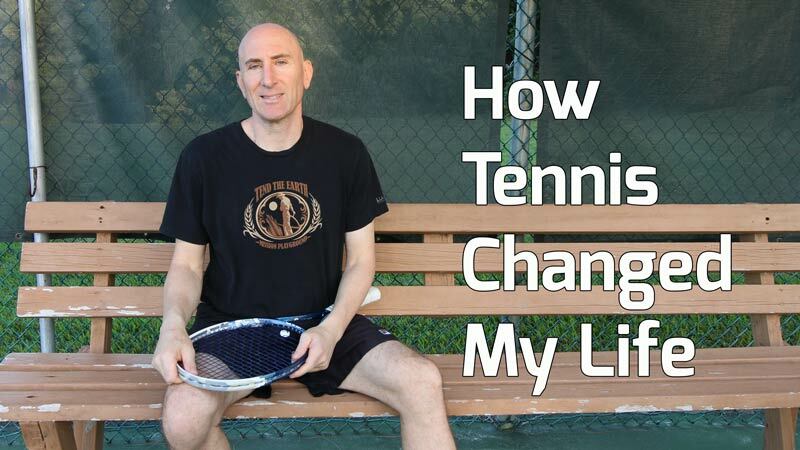 Once I started playing tennis regularly, that quickly changed for the positive. I’d say it took me about a month of consistent play (3-4 times per week) before seeing a noticeable difference. After playing regularly, my body grew leaner and my cardio improved greatly. When I first started playing, long rallies would wind me. However, after a month or two of playing, I noticed that I could sustain long rallies without being short of breath. It was fantastic to see my body and conditioning change in so little time. The great thing about tennis is that it’s super fun, so it doesn’t even feel like exercise. When I lived in New York, the winter months were cold and outside activities were rare. Besides, I didn’t like the cold so there wasn’t much to do in the way of outdoor sports. Before I took up tennis, I’d just stay home and mull around my apartment, being quite sedentary. However, after deciding to play regularly, I bought a membership to a local tennis bubble and went frequently. A tennis bubble is an indoor court; we call it a bubble because it looks like one from the outside. After work, in the evenings, I’d call my tennis buddies up and we’d meet for a 2-3 hour session of singles. I loved the feeling of being in the bubble and playing tennis. Those evenings were some of my fondest memories during those cold winter months. I always looked forward to playing and returned home feeling like I accomplished something good. I was running, sweating and improving my conditioning all while having a blast. If I missed the gym for a while, I knew I was staying in shape through tennis, so I didn’t worry. Fast forward 20 years or so. I now live in Florida, where I can play tennis outdoors all year long. I take full advantage and now in my mid-40s, I am in better shape than anyone I know. I feel like I can run a marathon if I had to. Simply by playing regularly, I feel like I’m still 25-years-old and have excellent endurance and mobility. Unlike other people my age who stop exercising, I continue to stay toned and in great shape. 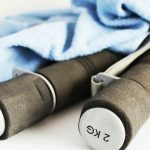 I owe it all to tennis – and the occasional trip to the gym. Another great benefit of regular tennis is eating more and sleeping better. When I play every day for several hours, I can eat whatever I want and never gain weight. I have a very good diet as a vegan. But if I want to splurge on some dairy-free ice cream or cake, I never worry about the calories. I also sleep like a baby at night. There’s nothing like running around on a tennis court for three hours to exhaust you. By the time I come home at night, I’m thoroughly pooped from work and tennis, so sleep is very welcome. 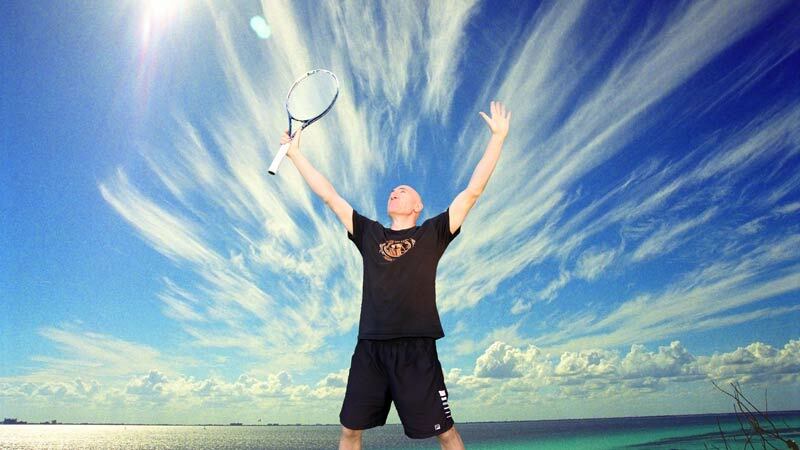 When I awake in the morning, I feel refreshed and ready to hit the court again! If gaining weight and not sleeping well is an issue for you, give tennis a try. Of course, playing tennis regularly also keeps my body and vital signs in prime shape. Every time I go to the doctor, my blood pressure, heart rate, cholesterol and all those metrics always come back in perfect ranges. I think a good diet contributes to my health as well, but tennis definitely plays a huge part. I notice that tennis benefits other people I play with too. I play with men who are in their 50s, 60s and a few in their early 70s. When you look at them compared to people of their age who don’t exercise, the difference is stark. I think the older the age of the person, the more the differences show (between players and nonplayers). 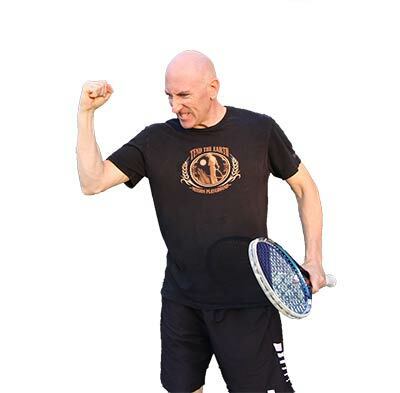 The older guys who play tennis regularly have great posture, appear younger and have much fewer health issues than sedentary men of similar age. These gritty tennis players possess clear minds and surprise me with their movement and quickness on the court. There are several guys I know ages 65-71 who are in incredible shape. I’m really shocked they haven’t lost much through the years in the way of conditioning, muscle tone and athletic ability. I joke with them about their age sometimes. But they’re no joke on the court, as they routinely beat players their level who are half their age. I truly believe tennis is a magic game and if you play it life-long, it’ll greatly improve your body, mind and health. It has for those guys and it’s doing it for me. At 45, I can honestly say I’m in the best shape of my life! 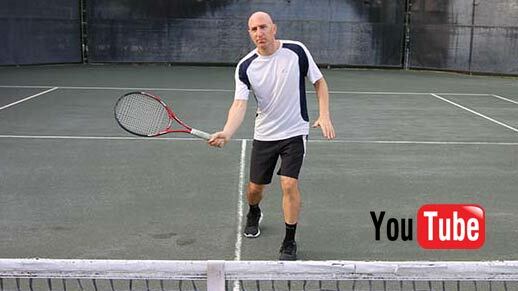 If you’re looking to get in better shape, few ways are better than tennis. And it’s never too late to start. I believe confidence is not a trait or feeling we can have unless we have ability and experience in something. If you’ve never played tennis before and I tell you to be confident when hitting, it doesn’t mean anything. You can’t be confident because you have no experience or skill in tennis. However, that will come in time as you keep practicing and playing. For me, it was the same way. In the beginning, I was unsure of my abilities and often second-guessed myself. I often struggled with technique and couldn’t carry out a strategy for winning. Over time, I began to work on my flaws and little-by-little I could see small improvements. This brought me a small degree of confidence. As the years passed and my tennis skills increased, so did my confidence on the court. I saw how increased experience and skill on the court coincided with increased confidence. I then thought the same process could work for any part of life. Tennis is truly a metaphor for the real world. The harder you work, the more successful you become. The more successful you become, the more confidence you have. As I continued to play tennis, the changes in my physical prowess also brought increased confidence to the other aspects of my life. Not only did I look and feel better, but my dating life, academics, career success, and social circle all improved as well. By playing regularly, I also just felt better mentally. I felt my reflexes were sharp, I could think better, and as I already said, my sleep was better too. It’s strange to think, but by playing tennis regularly, it also made me want to hit the gym and eat better. I thought that if I go to the gym, I’ll play even better. It was the same thought process that led me to keep a good diet as well. Tennis has a domino effect on your life that’s very beneficial. I know not everyone will think like I did, but many do. When I first started playing serious tennis, I was a freshman in college. I wasn’t good enough to be on the tennis team but I improved quickly. During my first two years in college, I just drifted through, not sure of myself or my identity. But that all changed in my junior year. I unexpectedly made the tennis team and it totally changed my outlook on life. Being on the team meant a lot to me. It gave me a new identity and level of confidence. I just walked around feeling better about myself. Even if I wasn’t the best player on the team, I was one of the best in the entire university. I proudly wore my “Queens College Men’s Tennis” warmup jacket everywhere I went on campus. Looking back, I can say the last couple of years in college were a much happier time than the first two, and it was all thanks to tennis. This is my story. I’m sure tennis has different levels of impact on different people. But never underestimate how much tennis can do for you. At the least, regular play will make you healthier, clear your mind and cause you to feel better throughout the day. Trust me on this. Tennis is better than any medication you could ever take. Before making the tennis team my junior year of college, I had only ever been on two school teams – both in high school. I played freshman baseball (yay!) and was one of four nerds on the senior bowling team (boo!). I really loved the camaraderie of being on a team and missed it going into college. 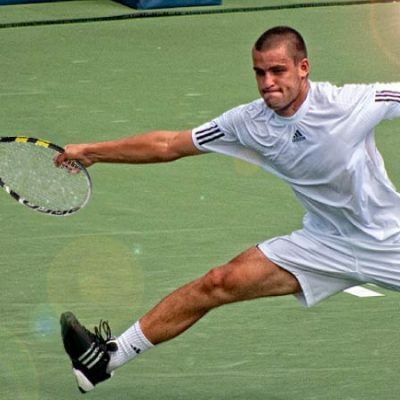 When I got the chance to try out for the tennis team in my third year at university, I jumped at the opportunity. I really didn’t think I would make it, but I did. After making the team, I met my new teammates and got acquainted with the format of college tennis. I liked the idea of traveling to a far away school to play against another team of players I didn’t know. 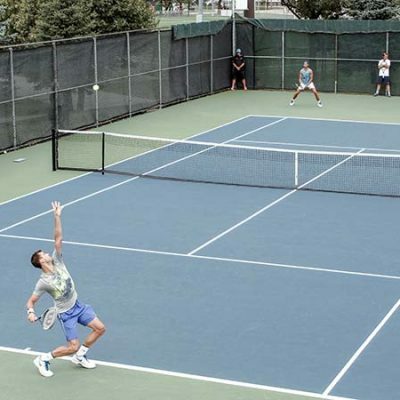 In college tennis, there are six singles matches and three doubles matches. That makes nine matches in total. The school that wins five or more matches, wins the meet. I loved competing and the feeling of teammates supporting you. I even loved the practice and training sessions. And my coach was the coach was fantastic too – very laid back and cool. One of the best perks of being on a team is the travel. We used to travel up and down the eastern seaboard – from Florida to Connecticut. It was awesome to play against new players and styles. I also made great friends on the team and had a blast. Yeah, those were good times. And those are beautiful memories that stay with you for life. If you’re an older adult reading this and your college days are behind you, you can still be part of a tennis team. 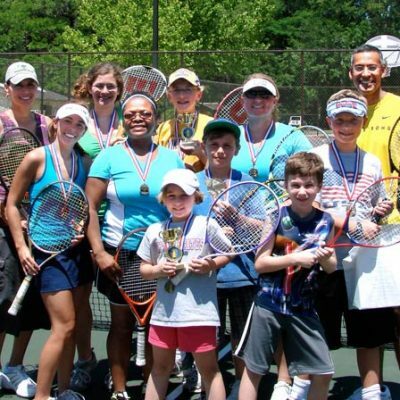 The USTA usually has local tennis meets where one club plays against another club. Or, if that kind of play is not possible for you, just form a doubles team with a friend and play against other doubles teams. It may only be the two of you, but it’s still a team! I love tennis doubles because it offers me the opportunity to team up with a partner. Yes, it’s a small team, but nonetheless, it is one. My teammate and I will practice, plan out strategy, and go against other doubles teams in the area. We even joined a league where we play against a new doubles team every week. It’s great fun and I love the “us vs. them” philosophy of a team. The best teammates support you at every turn and are fun to play with. It’s just a good feeling being able to rely on your teammate during tough times on and off the court rather than always going at it alone. For this reason, I prefer doubles over singles. If you’re my partner, I’m loyal to you until the end. It’s all for one and one for all. If you’ve never been part of a team in tennis, try to experience it. Let’s face it, life is adversity. We all have challenges to face every day, whether it’s school, our job, our health, or even tennis. Before I started playing tennis, I really didn’t know what it was to fight hard. I would battle during adversity, but when the going got really tough, I would fold. This happened in other aspects of my life as well. As a result, I never achieved anything noteworthy until I began playing tennis. It didn’t happen right away, but about a year or two after I learned tennis I began to find myself in some very competitive matches. I call them dogfights. They’re the type of competitions where you believe you can win, but you have to push as hard as possible to do it. The great Rafael Nadal calls them “suffering”. He believes sometimes the only way to victory is through great suffering. I believe he’s correct. As I began playing more, and my skills and conditioning increased, so did my will to win. But I continued losing matches I believed I could win. One day after another close loss, I began to question my heart. I questioned what I was willing to do for victory. Why not just give everything I have, I asked myself? I told myself from that moment forward I would walk through hell for victory. I then looked forward to the next chance I had to prove it. When you steamroll a lesser player or when a much more talented player does the same to you, there isn’t a great deal of adversity in that. Instead, adversity occurs when you play someone near your level – where the match could go either way. Not long after that introspective day, I found myself locked horn-to-horn with a tough opponent in adverse conditions (sun, wind, a team match at stake). My opponent was a level above me and I would need all the guile and grit I could muster to pull out the win. My college tennis team was counting on me as well. This was my chance to prove to myself I could go deep inside the well and pull out reserves I never had before. I fought like hell, running down every ball and making my foe hit at least one extra shot on every close rally. My feet were burning with blisters and my chest was hurting from sucking air, but I was fully committed to the challenge. 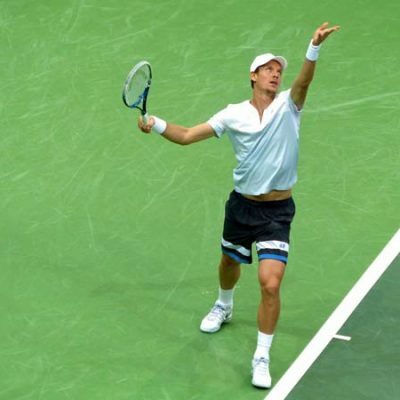 I was suffering on the court that day, but I was beginning to turn the tide in the match! When faced with adversity in the past, I would simply want it to be over and stopped fighting hard. I didn’t want to suffer or be uncomfortable, so I gave in. Not on this day. On this day I fought like my life depended on the outcome and claimed an uncommon victory. My teammates cheered me on and it was a great feeling. But more importantly, I finally proved to myself I could endure, suffer and go deep inside myself to reach a level I never had before. This was my turning point in tennis and in life. From this point on, I became one of the toughest players to go against at my school and division II tennis. In my senior year I moved up from the #9 position to the #4 position on my team and ended up going undefeated in my conference. Other players hated playing me because I tracked down every ball and fought tooth and nail on every shot. I was the Nadal of division II tennis in the mid 90s and I loved it. After I learned to overcome adversity on the tennis court, I soon began asking why I couldn’t apply the same philosophy to life. Why couldn’t I fight hard when it came to doing well in academics? Why couldn’t I fight hard to be the best worker at my job? I thought about tennis and I thought about school and career. If I could overcome adversity in tennis, there’s no reason why I couldn’t do it in life. The key, I saw, was to fight hard, never quit, and focus on the process not the results. I know it sounds awful, but I graduated with a lowly 2.0 grade average as an undergraduate. I only maintained a 2.0 to remain on the tennis team, otherwise I would have probably flunked out of college. After I received my degree, I decided to return to university as a graduate student; I had to talk my way into the program because of my low GPA. I told myself, this time will be different. I’ll do my work, study hard and do whatever’s necessary to earn high grades. I thought of school as a tennis match and just never gave in. I ended up earning a 3.6 GPA in my two years as a graduate student. I don’t think I could have done it if not learning some very serious life lessons on the tennis court. Look, I know tennis may not have the same dramatic results for you, but it’s a great test of adversity in small doses with low consequences. Go out there, play matches, and challenge yourself. Kids for sure will learn how to deal with challenges in life by playing tennis. The thing I love about tennis, is that in singles it’s all you. Your success and your failure are entirely dependent on you. You see, tennis is a mirror of life. If you can learn to fight back on the court, you can do the same in life. I’ve never been a social butterfly. I’m an only child and come from a small family. In public school, I only ever had a couple of close friends and never really fit into any cliques. As a result, my social circle was small in junior high and high school. In college, it was basically the same. I had a couple of close friends but nothing more. Inside, I truly wished to have more friends or a social network to rally around. My university was a commuter school, so almost all the students went to class and then went home – or studied in the library. I did the same but didn’t do much studying. Instead, I’d hang around campus to play tennis or basketball when I had the time. That’s how my freshman and sophomore years passed in college. I didn’t attend any parties, have any close bonds or do anything social. I wish I did though. In my junior year, that all changed when I made the tennis team. Instantly, I inherited a group of guys who all loved tennis as much as I did. I formed close friendships with some of those guys – two of which still last today, almost 25 years later. As a team, we trained together, traveled together and competed together. It was a fantastic time and my stretch on the team really broadened my social circle. I began to meet people outside the team too. These people wanted to play tennis. They knew I was good, so I plenty of prospective partners to choose from. One of those people, a guy a few years older than me named Eric, developed into a friendship that spanned the years. Tennis was always the bond and running theme throughout our 20-year friendship. After my years on the team, I would go down to the local park and play against different guys. We all knew each other and had a fantastic time playing. When you play tennis, a lot of guys (and women) like to socialize and talk before the match and between games. You might only know someone as a tennis acquaintance, but you get to know a lot about them on the tennis court. I always enjoy meeting new people through tennis and learning about their lives. Being more of a quiet, reserved person, I don’t usually seek out new friends. However, tennis is a great icebreaker. You can meet someone new for tennis and get to know them gradually. There are also tennis leagues. I think they’re great for meeting new people. If you live near a tennis club, sign up to leagues or find people that want to hit. Who knows, if you’re single you may meet that special someone. Here where I live in South Florida, I play in two tennis leagues: singles and doubles. The people that I’ve met through the years in these leagues are fantastic human beings. Not only are they funny, interesting, and successful, but they’ve helped me through some tough times. I really love those guys and I see them often throughout the week, as every evening is another chance to get together and play tennis. I’ve definitely forged friendships here in Florida through tennis I never could have done if I hadn’t played. We meet up almost every evening to play and compete. But we also banter and joke around a lot. I feel like I have this vast social network of 25-30 guys I can call to play and talk with. Maybe that’s the reason I never feel lonely here despite living and working by myself. 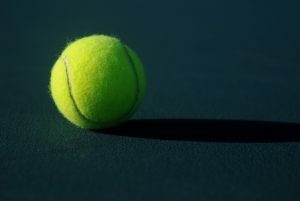 If you are looking to widen your social circle, tennis is a great way to do it. There are so many opportunities to meet new people, be part of a team, and even find a life partner. I’ve always felt it’s much easier to socialize and make friends through tennis. Give it a try. There’s nothing to lose. I know not everyone is looking to make an income from tennis. But some people are, so I thought I’d include this benefit, as it was a huge one for me. When I was playing college tennis, I made extra money teaching tennis to kids and adults in clinics at the university. I really enjoyed it. During that same time, my tennis coach also got me a job working on the tennis courts. I was the guy who checked everyone’s tennis passes. He said I could play all the tennis I want, as long as I checked everyone who entered the courts. What a cool job! The pay was low but who cared – I was playing tennis 95% of the time. Later, I coached at a few different tennis summer camps for kids. When I moved to Florida from New York, I began teaching kids and adults privately. By doing so, I made more money from tennis than ever before. While I wasn’t getting rich, I was being paid to do what I loved, and it paid my bills. People would actually pay me good money just to hit with them and play matches. What a job! 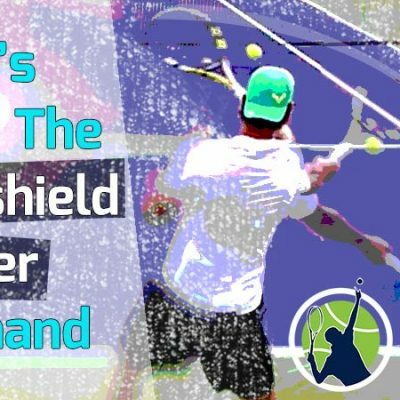 At one point, a student of mine asked me to make a video on the basics of the one-handed backhand. I made a video and put it on youtube. He then asked for a few other videos, so I made them and posted them on the new youtube channel. After a while, I noticed I was getting thousands of views each month. I decided to monetize the videos through Ggoogle Adsense, and bam, I was making money through tennis in a whole different way. At first my income from youtube was low, perhaps $30 per month. As I posted more videos, my income increased and I could see the potential. I made it up to $150 per month after 8-10 weeks of consistent posting but then scaled back to focus on other things. If I would have continued going, I could see how the monthly income could have potentially made it to $300 and even $500. As of the writing of this blog post, I intend to put out dozens and dozens of new videos on my youtube channel soon – all in part and parcel with this blog. 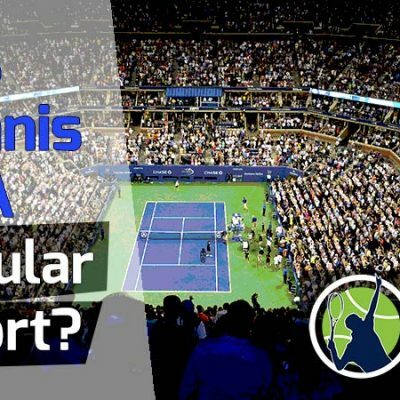 Heck, I even intend to make money from this blog, so the different ways to make money with tennis never end. The bottom line is this. 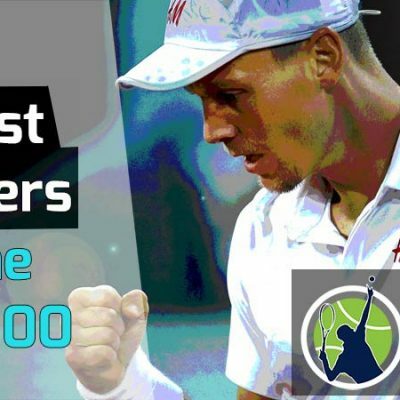 If you’re passionate about tennis and can teach others, make videos, or write about it, you too can make money. Even if you’re not a great player, you can be a great coach with experience and work. One great way to make money is to invest in a ball machine and charge people to use it. You don’t even need to know how to play to do that. The interesting thing about tennis, unlike some other sports, is that you can always get better. I think this one reason has kept me coming back to it day-after-day and year-after-year since I began. Every time I watch a new youtube tennis video or see a match on TV, I think to myself, “I’ve got to try that technique!”. 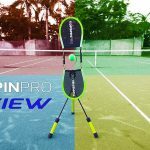 I love going to the court and experimenting with new grips, new swings, and new equipment. Tennis is very addictive. There’s a chemical reaction that happens in your brain when you hit the ball. I think it releases endorphins when you strike the ball well or hit a winning shot. That might be the huge reason why you see the same guys playing for three hours every night. We’re all tennis junkies and passionate about the game. People who’ve never played the game (like my business partner, Ted) will never understand it. It’s only something that tennis addicts like myself comprehend. If you play tennis, you know what I’m talking about. And it doesn’t matter your skill level either. You can have as much fun playing a 3.0 match against someone your level as 5.0 level players do. Everyone I know who plays tennis regularly is truly passionate about the game. Going through life, we all have interests that come and go. At one time, I was into martial arts, but as I got older it became more difficult to do. I was also into basketball, but the same happened there. At one point, I got into bodybuilding, but ultimately that hobby fizzled out too. Same for my interest in motorcycles, video editing, and business. But the thing that has blazed like a thousand suns in my life from day one until now is tennis. It’s truly incredible to have a passion that fills your life with fun and meaning every day. I can honestly say for me tennis is my calling. For 25 years, I’ve been consumed with it. Even today, as I write this blog post, I’m plotting strategy with my tennis partner by text for our doubles league match tonight. I’m consumed with winning and I’m consumed with being the best version of myself every time I step on the court. And now that I’m also a tennis coach, I put a lot of energy and passion into teaching others. I have a young female student now who is 10-years-old. She’s a tennis phenom and hits better than any kid her age I’ve ever seen or coached. The crazy thing is she’s as passionate about tennis as me! Her parents know nothing of tennis, but she came to them at age five and demanded to play. So her father bought her a racket and she took a few lessons. Luckily, a couple of years later, I met her father by chance in a UPS store and have been her coach ever since. I love teaching her new techniques and watching her improve. I would love for her to be a professional player, but I’ll settle for a scholarship to a division I school. While I’m still just as passionate about my own tennis game, I’m now consumed with making my clients better, especially my best student. I’m also super passionate about this tennis blog, for which I’ve written 24 long articles in only one month’s time. And when the ATP Finals are on TV next month, guess what? I’ll be watching some of it too. 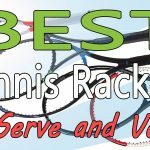 I just bought new string for two of my rackets and can’t wait to try them out. Need I say more? You can probably tell how passionate I am about tennis. While I can’t make you passionate about tennis, it could become your passion if you play regularly. I implore you to meet new people, play at different courts, join leagues, and enter tournaments. One caveat though. If you get the tennis bug and find yourself addicted, don’t blame me. I’m warning you now! Hey, I’ll accept being a tennis addict all day long for the awesome passion it has filled me with over a lifetime. What’s your passion?